50 Years On, The Band's 'Music From Big Pink' Haunts Us Still Nobody witnessing the turmoil of 1968 was waiting around for a salve like "The Weight" — or could have predicted how fundamental those songs would become. The first hint of otherness comes from the voices. They are five in all, each ragged and weary in his own way, each contributing to "Tears of Rage" on his own timetable, when stirred by some spirit. Sounding less like a polished choir than a wandering militia, they appear displaced, out of time. The voices have no discernable connection to the moment the record arrived in 1968. They might as well be selling elixirs from the back of a horse-drawn rig, moving at the slow, deliberate pace of backroads rural America in the days before [farm-to-table] artisan shallots. The harmonies of Richard Manuel, Robbie Robertson, Rick Danko, Garth Hudson and Levon Helm hold the spotlight on "Tears of Rage" – and really all of Music From Big Pink – because they're so willfully and completely alien. Inside this mass of strident, striving singing are hints of churchbells and graveside orations and lace tablecloth socials, echoes of eras when everybody sang and sang together, no matter how creaky. Their evocations offer a provisional invitation: Come on in and poke around. But beware, because this is not a record. This is a world. 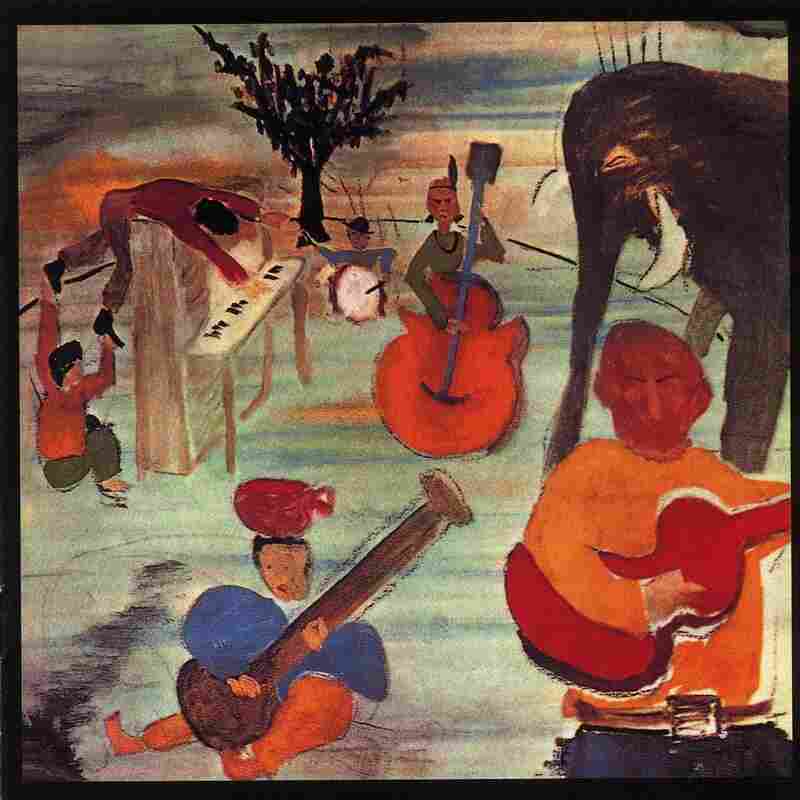 Music From Big Pink has been with us for 50 years now, and though its DNA has been endlessly number-crunched and analyzed, it somehow retains its outsider aura, its capacity to surprise, its unusual gift for bending and twisting chronological time. Big Pink was unexpected on arrival and remains that way still. It responds to the accelerating gallop of progress circa 1968 with murder ballads and allegorical teachings from the hymnals, accompanied by pump organ and the wheezy brass of a community band. It's an attic curio, sure, but one that activated ten distinct strains of nostalgia while, at the same instant, opening up superhighway-sized avenues for future exploration. (The vaguely defined territory tagged "Americana" being one among many...) It taught essential lessons about the importance of a sturdy frame for a song, and about how to let a song breathe so the words, however cryptic, might sink in. 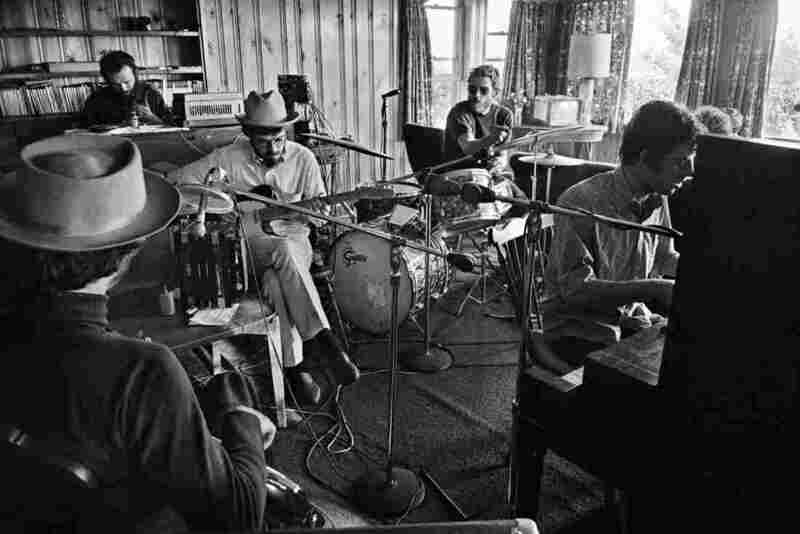 Central to the album's ethos is the unpressured approach to collaboration that prevailed inside the Big Pink house in West Saugerties, N.Y. – in the basement where, after accompanying Bob Dylan on his first electric tour in 1966, The Band and the bard spent months working on songs and exploring sounds. 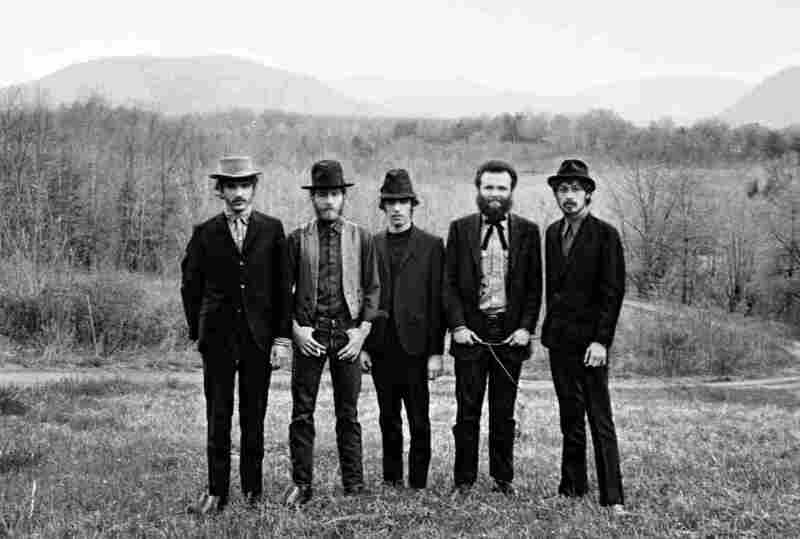 According to legend, when producer John Simon asked about the sound The Band was chasing, Robbie Robertson replied they wanted the music to sound "Just like it did in the basement." They wound up capturing the record in studios in New York and Los Angeles – total recording time: less than two weeks. But drop in anywhere on Dylan's The Basement Tapes Complete set that came out in 2014, and you encounter the aura of that basement space, and the fertile, almost viral creative energy that happened there. 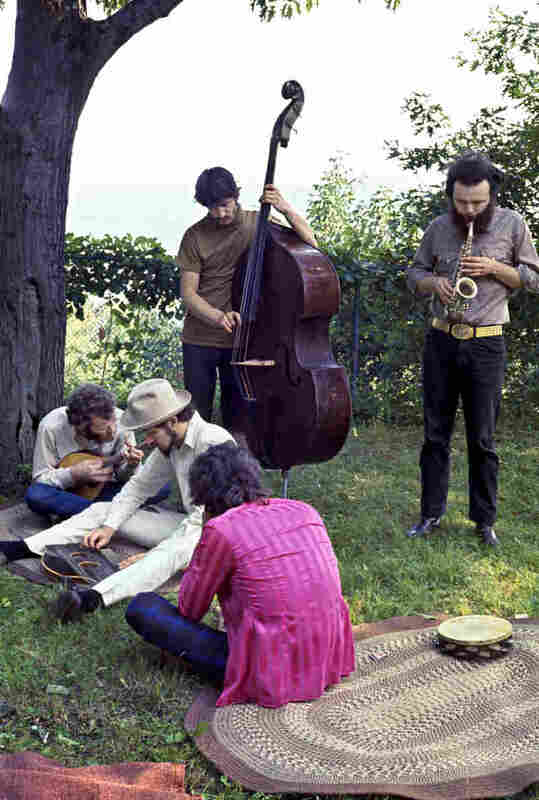 The Band might have been initially hired as accompanists for Dylan, but they quickly became accomplices – and in the process of helping Dylan develop that material, the five multi-instrumentalists discovered (and then elaborately refined) the signature characteristics of their own enterprise. Wrestling with the sprawling, mythic Dylan songs had to help these musicians forge that rustic identity that became the Band's calling card. They learned to sing together in that wonderfully irreverent, ad-hoc way. Then they tailored that vocal approach to songs each of them wrote, songs that aligned with and stretched the collective's already expansive sound. No matter who happened to be singing lead, whether the tune was a pounding rocker ("Chest Fever") or a plainspoken meditation ("In a Station"), The Band always managed to stand fully apart, in its own airspace. Many rock veterans regard Big Pink as a sacred text. Eric Clapton, said to have been haunted by it, confessed to listening daily. Roger Waters placed it right behind The Beatles' Sgt. Pepper's Lonely Hearts Club Band as the most influential record in rock history. "Sonically, the way the record's constructed, I think Music From Big Pink is fundamental to everything that happened after it." In the reams of scholarship devoted to this record, it's possible to find a zillion specific elements within the music that bolster Waters' broad assertion. Some might be technical considerations, the colorful chords grounding the group-sing. Some might be spiritual, tied in unseen ways to the vanished Sunday-school values. All share at least one thing: The profound element of the unexpected. Think about that moment. Nobody witnessing the turmoil of 1968, at, say, the Democratic National Convention in Chicago, was waiting around for a salve like "The Weight" or, for that matter, any of the songs from Music From Big Pink. Rock was getting ever more psychedelic; something small and frail and human-scale wasn't in the realm of possibility. It came out of nowhere, this basement noise. Snuck in and took up residence without putting on airs. And it's haunting us still.